I think it’s pretty safe to say, then, that the turkey was viewed by Europeans as an “exotic” bird, at least initially. 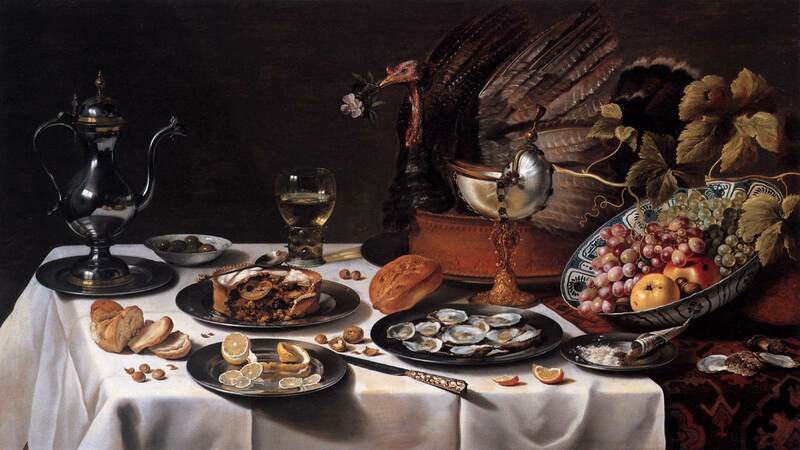 As I’ve been looking at some representations of turkeys this morning (all by European artists), I can’t help but wonder which of this artists might have viewed the turkey in an “exoticized” light, and which (later) artists may have seen the turkey as an integrated part of European life. Johann Joachim Kändler, Turkey model, c. 1733. Getty Museum. 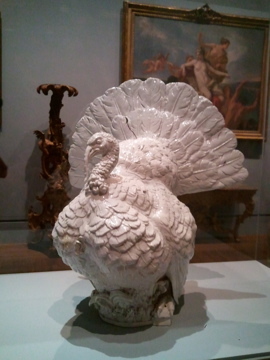 This turkey was one of eight models which were made by the Meissen manufactory. Kändler, a sculptor, was hired to help with the royal commission for large porcelain animals. The turkey depicted on this pulpit is found on the left side of the image, halfway up the staircase. Its distinct tail feathers are especially noticeable. In addition to the turkey, this pulpit shows a variety of other birds, including a parrot, heron, owl, and peacock. These birds are included to emphasize the natural world, which was thought by Saint Bernard to be a source of inspiration for the faithful. 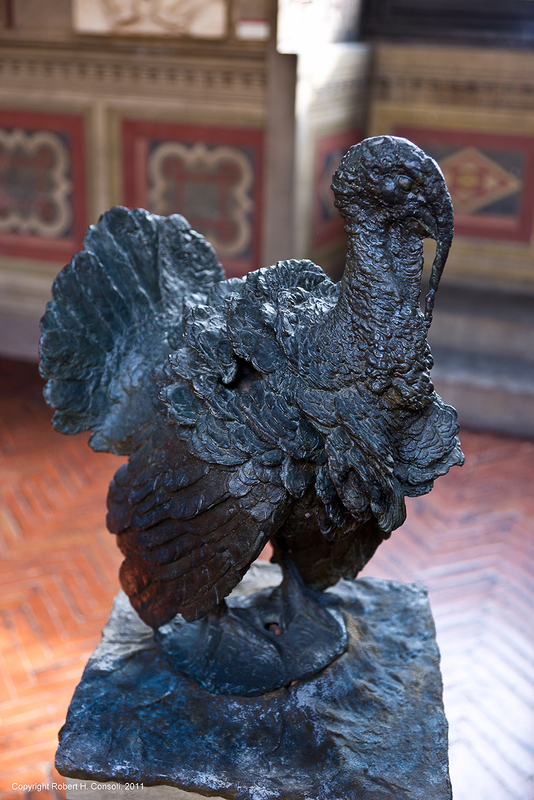 (I bet this is the only instance in which the turkey bird serves as a point of spiritual inspiration!) I’d love to research more about this pulpit (if anyone has any sources to recommend, please leave a comment!). So far I have only found a few sources online: the Web Gallery of Art and this online forum. You can see another detail image of the pulpit here. 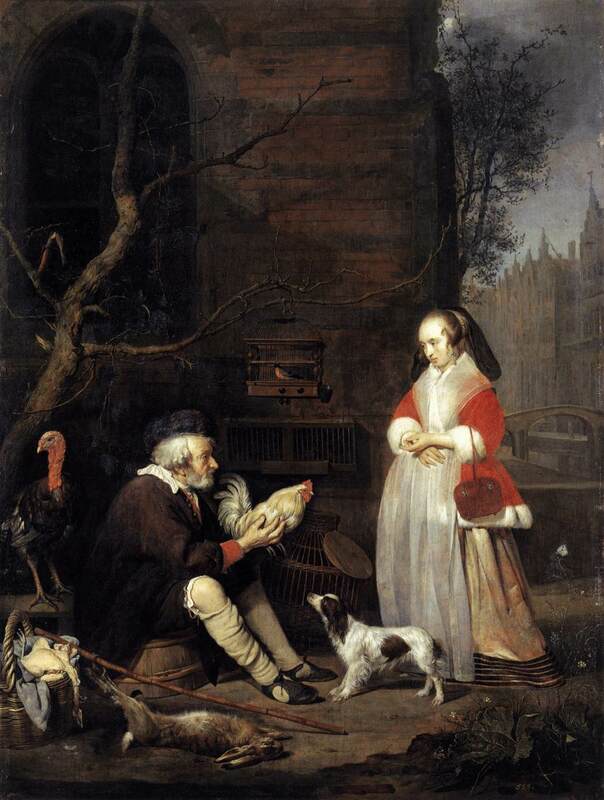 Do you have any favorite depictions of turkeys? Happy Thanksgiving! 1 Karen Davis, “More than a Meal: The Turkey in History, Myth, Ritual and Reality” (Brooklyn, New York: Lantern Books, 2001), p. 54. Citation available online here. Davis’ book also goes into some depth discussing the difference between the wild turkey and domesticated turkey (see, for example, p. 79). She also mentions that the turkey was not a widespread part of Thanksgiving meals (outside of New England) until after 1800 (see p. 53). 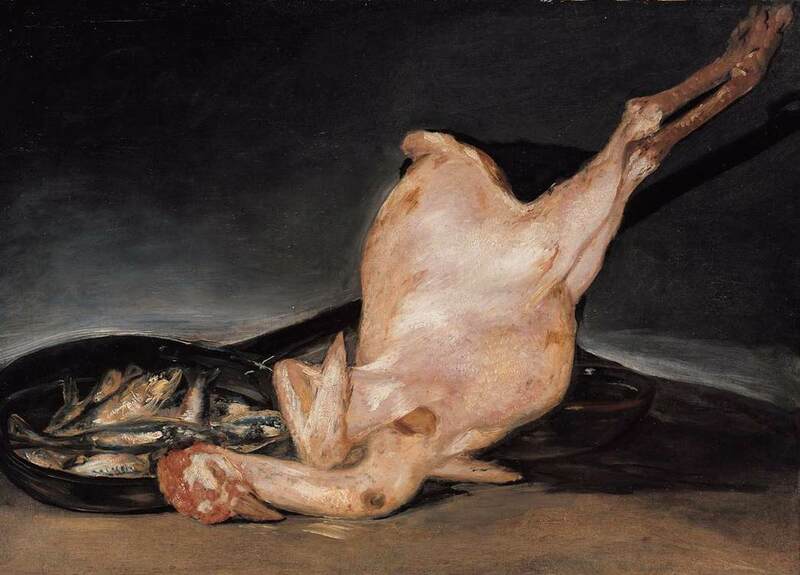 Who knew Goya painted a turkey?! Not me. 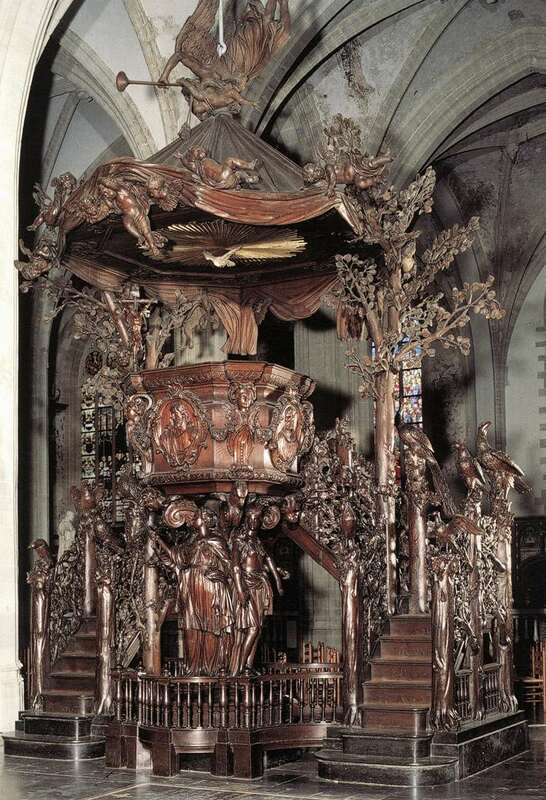 For all I know, the definitive (and probably the only) book on Baroque pulpits in Belgium is: Paul Fierens, Chaires et Confessionnaux Baroques, Brussels 1943. Personally, what the pulpit in Antwerp reminds me of is the pulpit in Brussels Cathedral (plenty of images online if you google Brussels Cathedral Pulpit). The iconographic theme is a rather different one (The Expulsion of Adam and Eve from Paradise) but the overall structure is strikingly similar and the sculptor turned the whole thing into a representation of the Garden of Eden creating an “overgrown” effect not unlike what we find in Antwerp. There actually is a (rather old) article dealing with this kind of pulpit, i.e. Alice Strobl, Die Naturkanzeln des 18. Jahrhunderts, in: Alte und neue Kunst 4, 1955, pp. 38-52. H, that is very interesting about turkeys being called “Hindi.” Wow, that bird has been privy to a lot of misleading names! I actually saw images of the Brussels Cathedral pulpit when I was researching more information about the Antwerp pulpit. I’ll have to research it more, especially since you’ve brought up this interesting idea about the “overgrown” effect. I noticed that Verbrugghen created his pulpit in Brussels between 1696 and 1699. 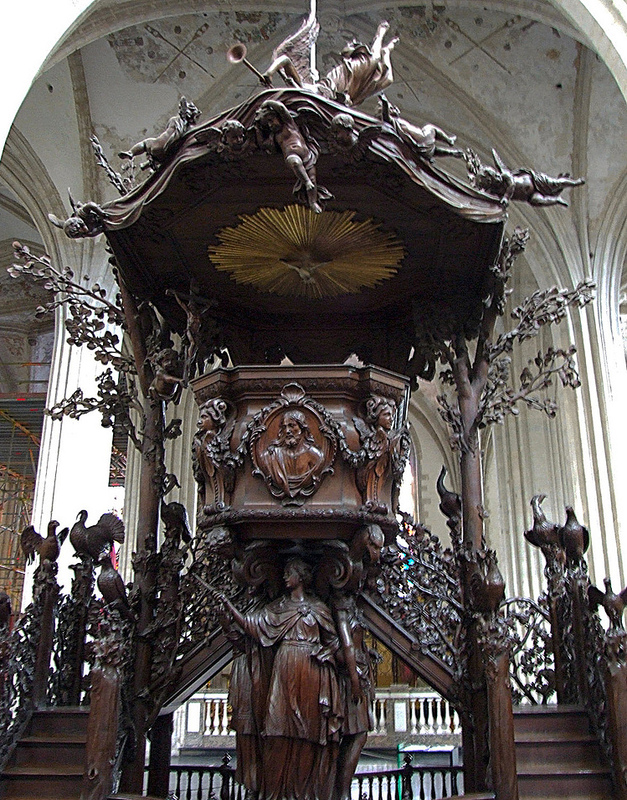 It seems very likely that Voort (who made the Antwerp pulpit) may have gotten his inspiration from this earlier pulpit.